Everything Rose Hill | Events, Real Estate, Business, and More!!! Events, Real Estate, Business, and More!!! As you know all know, many of the vacant buildings in downtown Rose Hill are available for lease. The following article was written by Rose Hill Expat Janet Simmons and has been reprinted with her permission. The thought of settling down into a new office space can be equally daunting and exciting for business owners. If you are relocating your office to another location, then this probably evokes a combination of both these emotions for you as well. During this process, there are plenty of things that your broker will have to think about, but if you really want to get the best office space, then there are things that you need to consider too. More and more energy efficient commercial properties have been developed in recent years. Even though renting an energy efficient space may cost you more initially, but it will you save money in the long run. In fact, even make sure that your components and IT systems are also energy efficient. Perhaps you should even adopt practices like recycling paper, switching off non-essentials, using energy-efficient and/or motion-sensitive lighting, etc. It will be much better if the build is already energy efficient itself. Today, almost every commercial business is conducted with IT, so when selecting your new office space, another huge factor that you must consider is IT infrastructure. A good 3G and cell phone signal should be available in the neighborhood and reliable ADSL and telephone lines should be available in the building. The building should also have an air-conditioned/climate-controlled room for servers and surge-protected plug points. The new office should also be covered by your ISP. In the business environment of today, good security is crucial. 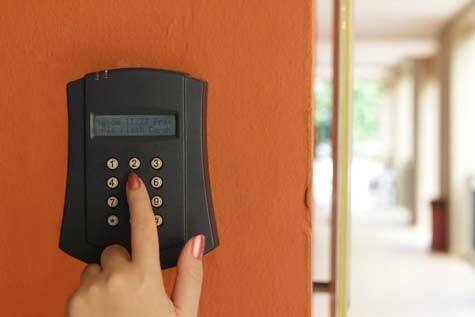 Security is not merely in the form of alarms and business insurance. Your office space should also promote the perception of a secure environment to your clients and your staff. It is becoming the norm for gated business parks to have bio-metric access control, particularly in new commercial property developments. If protecting sensitive IP and information is essential for your business, then make sure CCTV is installed in your new space and that protection against industrial espionage or IP theft will be possible. Things like accessibility from clients and employees, competitiveness and position in your specific market, and the perception your clients have of your business will depend on local. Overall, the location of the new space for your office will also determine your monthly rental costs, which will also be affected by property, rates, taxes, and value. Consequently, whether or not your business will be profitable and successful will be influenced by the conceptual and financial consequence of all of these. So, you must consider the location. Great strides are being made all over the world in order to ensure that reliable public transport becomes available to office workers. With public transport, employees and entrepreneurs are able to use their transit time more efficiently. You can check email, do bookkeeping, brain storming, research, and product development, and you can even write proposals while riding the bus or train to work. So, to if you relocate your office to a location that has plenty of public transport services nearby, so that you and your employees can also benefit from such tech capability. There are businesses that cannot be run without office space, and you if truly want to get the best one, and then keep the above in mind when choosing. Join us at the Rose Hill Fall Festival from October 10th through the 12th. This year’s theme is “Peace, Love and Roses”. There will be rides and food vendors at the Ottoway Carnival as well as a craft show and parade! Tons of events and just as many contests will be going on that weekend so you do not want to miss all the fun! Head on over to the Fall Festival website for an updated schedule of events. Rose Hill’s featured business of the month is Cliff’s Forklifts. Congratulations Cliff! He won by just 2 votes in last weeks facebook poll. Many of you cited his fantastic customer service, training, and all-around good attitude. When Cliff was asked how it felt to be the Business of the Month he asked, “Did I win anything?”. Yes Cliff. You have won the admiration of your customers and the people of the city of Rose Hill. Cliff asked us to remind you that if you have recently bought a forklift from him, that you should come in and buy a UL-rated forklift safety light or an affordable forklift blue light. Forklift safety lights are especially useful at blind intersections and sharp turns to ensure the safety of people and workers alike. Forklift related injuries can be catastrophic, even lethal in some cases. Therefore, it is prudent to invest in safety lights that can prevent future overheads of accidents and lawsuits that can run deep into your pockets. Lets look at some of the important points when it comes to safety lights. – These are bright lights mounted on the forklift to alert the people around in case of an approaching forklift. Generally blue or red in color (majority of these are blue ), these precede an approaching truck to ensure that the commuters are aware of their presence. They can even be mounted on the front, back, and/or sides. – Safety Provision: Its better to be safe than sorry. – Avoid Accidents: Useless accidents can hamper your reputation and business. You won’t mind avoiding them. – In the US alone, 19000 accidents per year involve forklifts. – Running a business can be tricky. While these costs may seem useless at first, it will take only one accident (that too might not be your fault) to put a much deeper hole in your pocket. Cliff also specializes in Forklift Train the Trainer Programs nationwide. Give him a call.